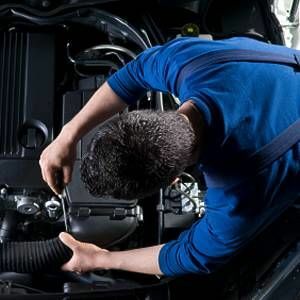 Mobile Mechanic in Phoenix, AZ - All Domestic and Import, Mobile Mechanic Services. All Domestic and Import, Mobile Mechanic Services. About All Domestic and Import, Mobile Mechanic Services. We are a family owned business traveling all around AZ to fix our customers vehicles W/ 30%-50% discount on all our prices, capable of working on all imports and American models. All areas of automotive repair from simple maintance to full engine rebuilds and repair, also have experience in auto detailing and painting. All brands and products available, it's all the customers preferred brand or local store. To hire a professional who has reliable prices because at the end of the day the job is done and car is being fixed no matter what. At a very young age, generations of mechanics in my family. Fixr has validated the email provided by All Domestic and Import, Mobile Mechanic Services..
Fixr has reviewed the content provided by All Domestic and Import, Mobile Mechanic Services. to match our community guidelines. All Domestic and Import, Mobile Mechanic Services. has been rated with 30 experience points based on Fixr's rating system. Be the first to review All Domestic and Import, Mobile Mechanic Services. Contact All Domestic and Import, Mobile Mechanic Services.